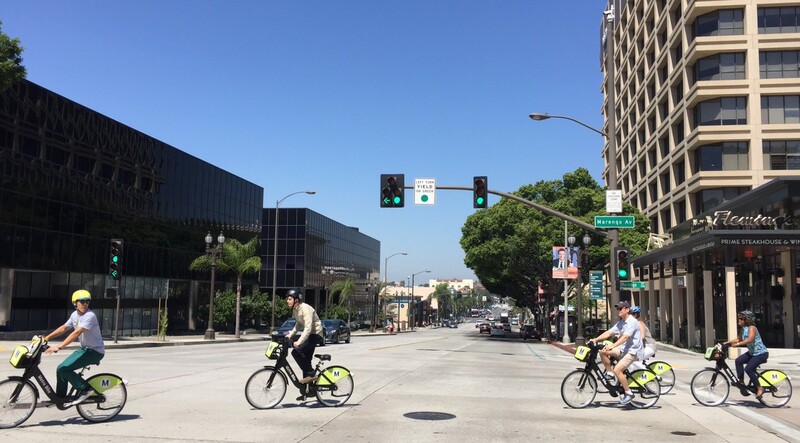 Bike share is open now in Pasadena. Photos by Joe Linton/Streetsblog L.A. 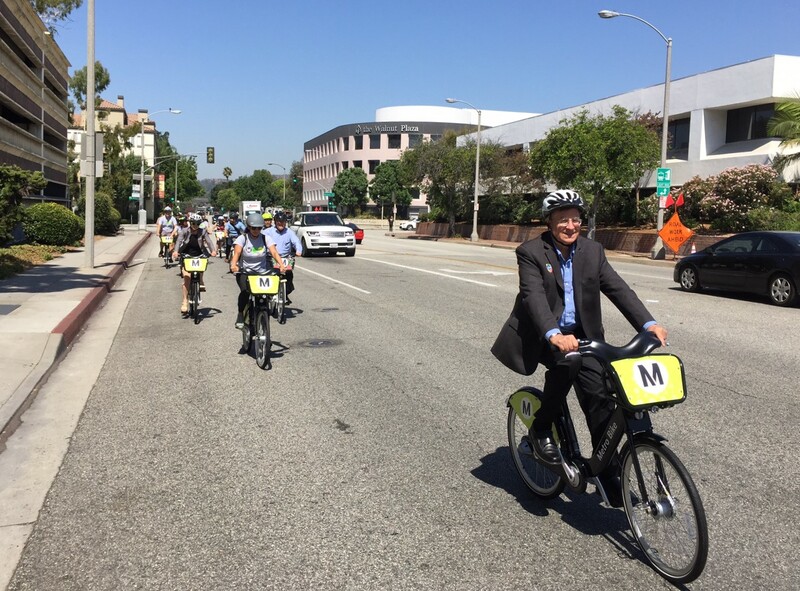 This morning, the city of Pasadena celebrated the arrival of Metro Bike Share. 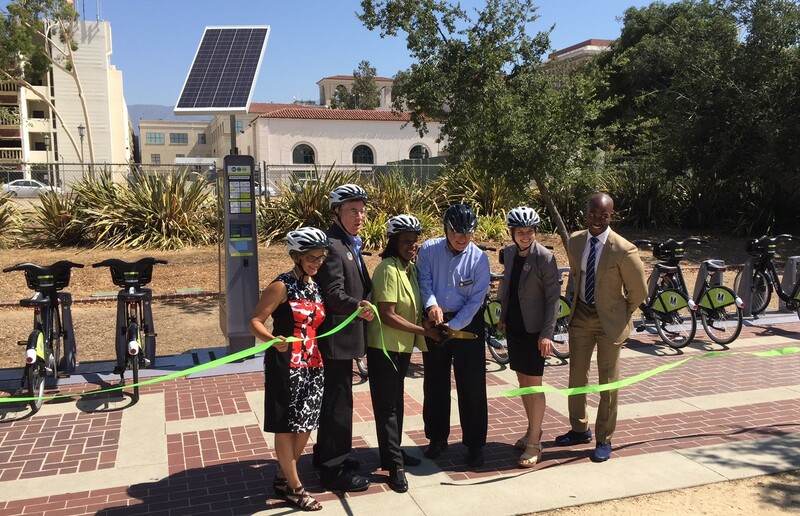 In the city of Pasadena the system includes 375 bicycles at 34 docking stations. The system is operated by Bicycle Transit Systems. 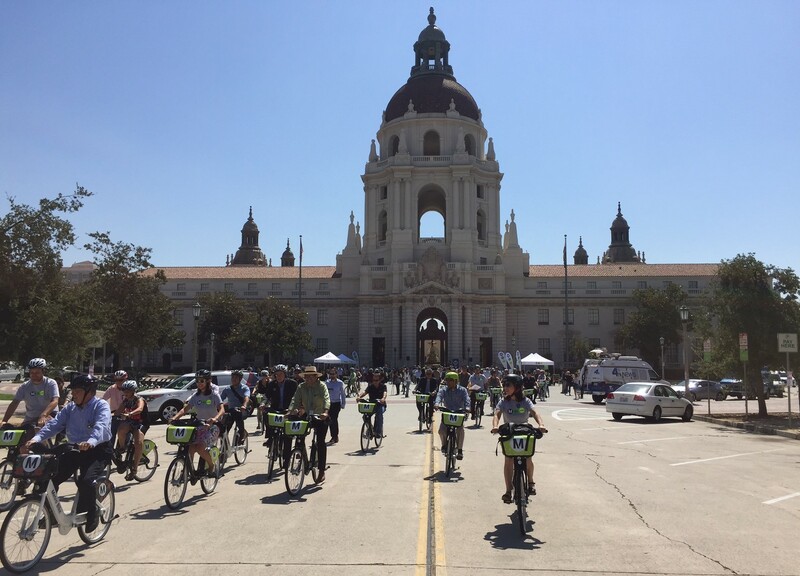 Bike-share docks are located in the greater Old Pasadena area, including City Hall, the Rose Bowl, Pasadena City College, Caltech, and five Metro Gold Line stations: Fillmore, Del Mar, Memorial Park, Lake, and Allen. 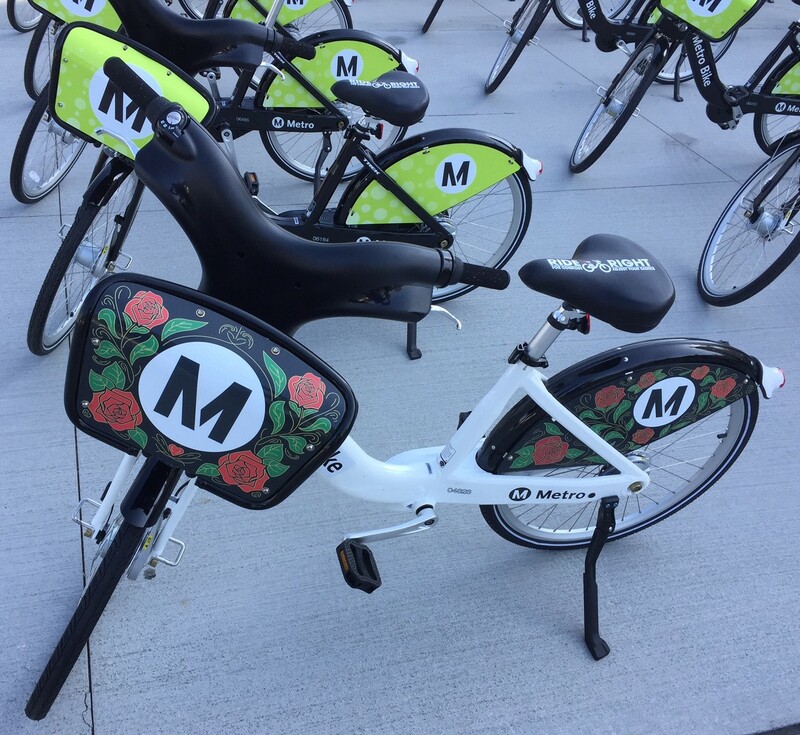 To view all locations visit the Metro Bike Share website. 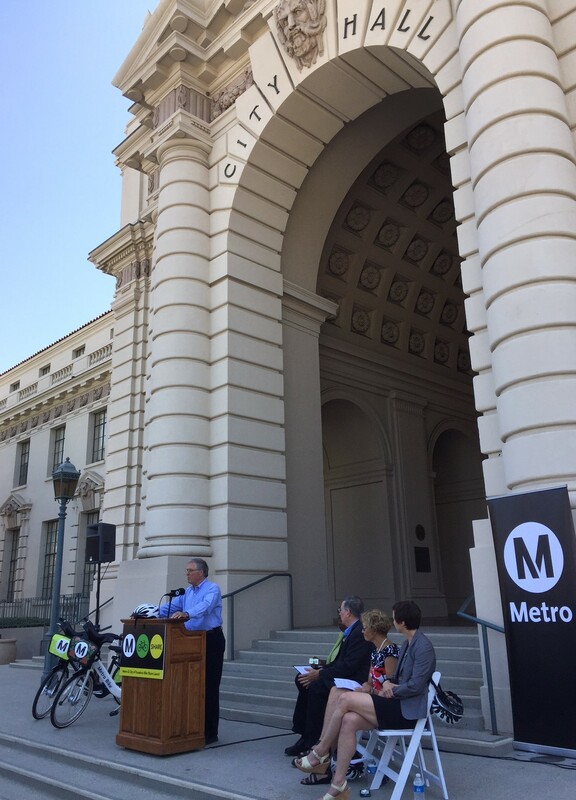 Pasadena is the first expansion of the Metro Bike Share, which debuted in downtown Los Angeles a year ago. 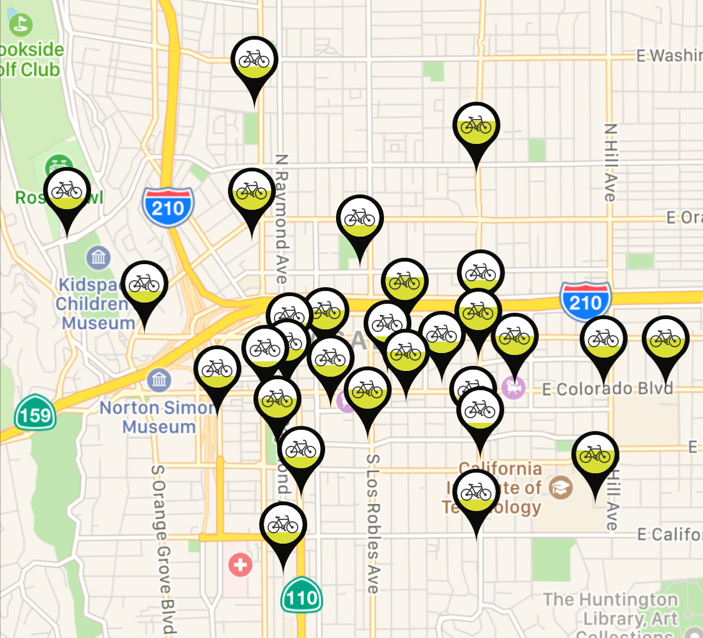 This year will see two more bike-share expansions. 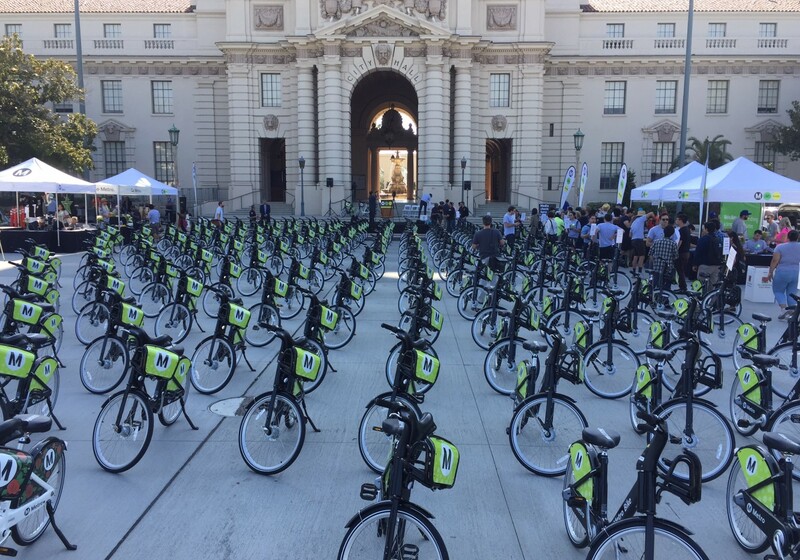 The Port of Los Angeles communities of Wilmington and San Pedro bike-share will open on July 31, and Venice bike-share will open in “late summer”, likely August or September. The combined system will include approximately 1,400 bicycles at about 125 stations. Lovely! For the years I lived in Los Angeles, my partner worked at Caltech and drove to work (I was at USC and biked). 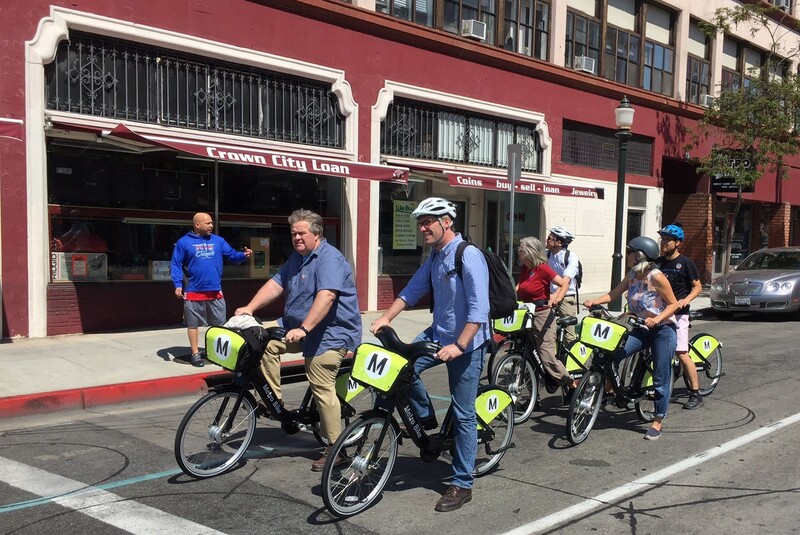 With this new system, we could have found a place close to the Gold Line to make his commute really easy by Metro plus bike!